It’s a new episode of my boys’ podcast, “Hey Comics — Kids!” We’ve just returned from a truly phenomenal stay at Disney’s Pop Century resort, where we had a chance to take in the Walt Disney World theme parks. We hit Magic Kingdom, EPCOT and Hollywood Studios — and had a freaking blast. Now that the dust has settled, I corralled the boys into the studio to get their thoughts on the best rides and attractions they experienced. One of the attractions that enticed both boys was Disney’s new Sorcerers of the Magic Kingdom game. It’s a deck-building game that features interactive video-gaming. You start with a deck of cards that feature magic spells based on the heroes of Disney features (Aladdin, Robin Hood, etc. ), and you’re plunged into a story — told through several hidden portals to be found throughout Disney’s Magic Kindgom park. In the story, Merlin (from the Sword in the Stone*) entreats you to help him thwart Hades (Hercules), who is on a quest to capture the crystals of the Magic Kingdom. 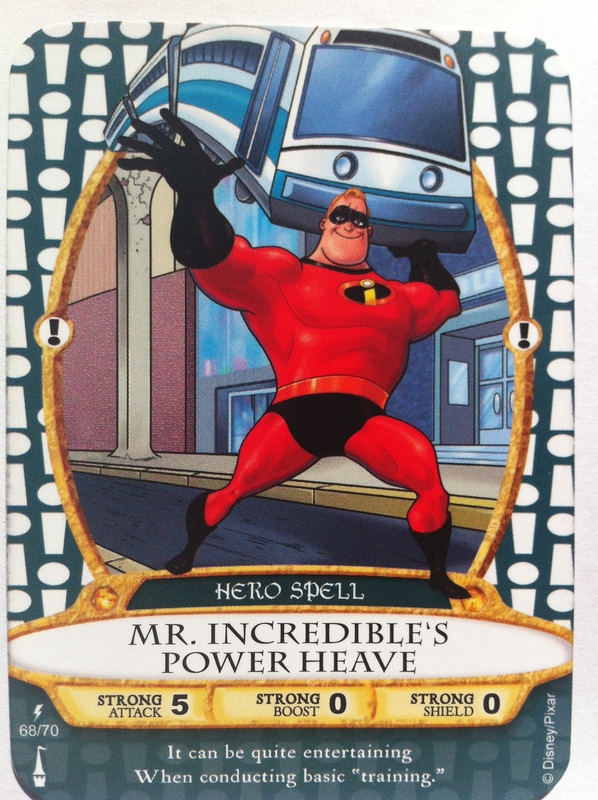 Moving from portal to portal, you face Disney villains and defeat them using the cards to cast spells. You hold up the card, a hidden camera reads it, and the video displays the appropriate spell and effect on the villain. My two sons were entranced by Sorcerers. In fact, we canceled our one scheduled visit to Animal Kingdom so we could spend a third day in the Magic Kingdom, playing this game. My 12yo defeated the entire first level. My 8yo would have too, but his adrenaline-junkie ways kept pulling him to the rides. Both had their first real experiences with deck-building — and trading with other players. 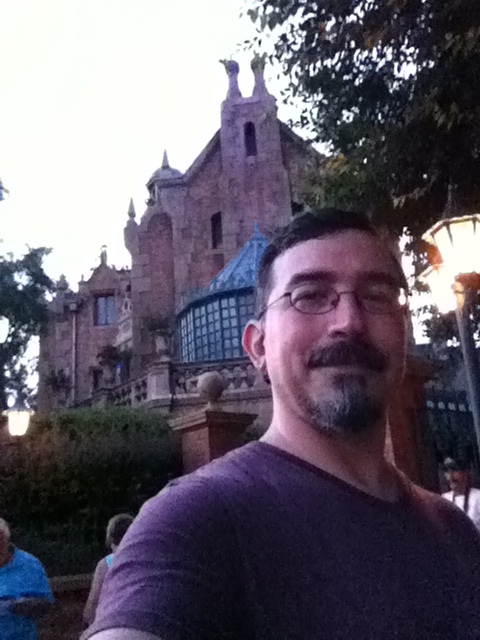 Me, I got to ride Haunted Mansion several times. I’m a happy guy. * Edited, thanks to a kind heads-up! Wasn’t Merlin in The Sword in the Stone? I thought Sorcerer’s Stone was the American name of the first Harry Potter book.